Essays, interviews, listicles, podcasts, and much more, covering all aspects of Yiddish culture. 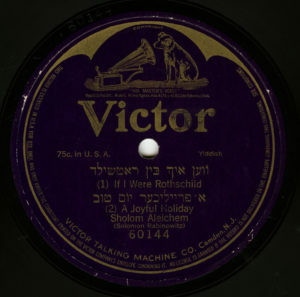 A playlisticle of Yiddish speech acts available in digital formats. Welcome to In geveb: A Journal of Yiddish Studies, the online home for Yiddish Studies. In geveb aims to be a central address for the study of all things Yiddish—the focal point for discussions of Yiddish literature, language, and culture, and the home for the next generation of Yiddish scholarship.